Sewage (often called wastewater) most often enters the sewer pipeline network from kitchen, bathroom, and laundry drains in our homes and businesses. Also, some industries and larger businesses have special permits allowing them to place wastewater from their operations into the sewers. Like small creeks that feed larger streams that turn into rivers, sewers become larger and larger as the sewage flows further and further "downstream". 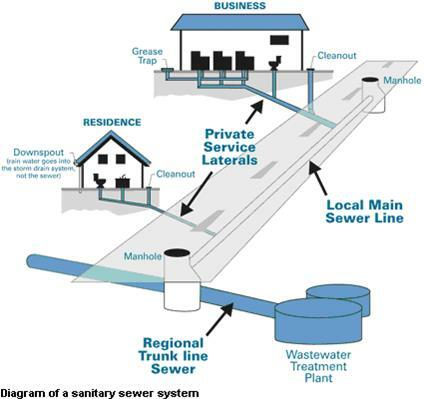 Sewage first flows through small diameter sewers called lateral pipelines that take the sewage away from a home or business and into sewer mains that run under streets, alleys, or other rights-of-way. 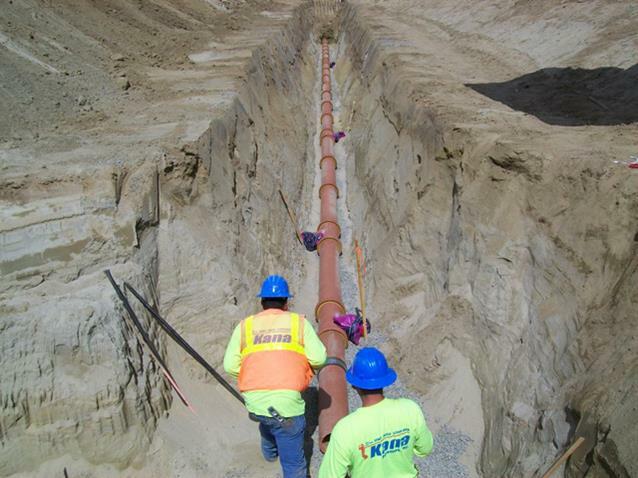 Lateral pipelines connect to collectors and trunk lines, all larger and larger pipes that eventually become interceptor sewers - the largest pipes in a sewer system. The interceptors can often over eight-feet in diameter and carry millions of gallons per day. These huge pipes convey the sewage to the treatment and water reclamation plants. Most sewers are designed so that gravity alone carries wastewater to the treatment plants. Low-lying areas such as some beach communities or valley locations need pump stations to push wastewater uphill through pipes that are under pressure (force main sewers) so that the sewage can reach a gravity sewer. 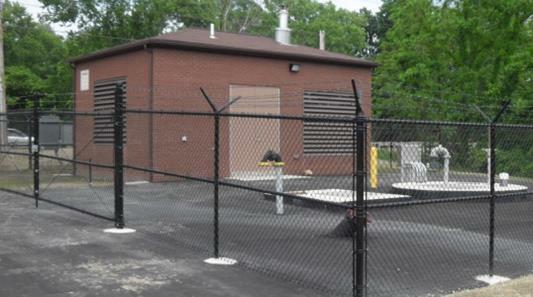 Consolidated Sewer Maintenance District operates 153 Pump Stations throughout it's service area. Sewer siphons are used to move sewage underneath freeways, rivers, or other potential obstructions that could disrupt the sewer's route. The sewer dips under the obstruction and then comes up on the other side and ties back into the sewer at about same elevation where it began the dip. Like a siphon used to take gasoline from a car, the sewer siphon is powered by the pull of wastewater on its downstream side.